Mossoró ([mosoˈɾɔ]) is the second most populous city in the state of Rio Grande do Norte, Brazil, and also the largest municipality of that state. It is equidistant (four hours' drive) from Natal (approximately 277 km or 172 miles), the state capital of Rio Grande do Norte, and from Fortaleza (approximately 260 km or 161.5 miles), the capital of the state of Ceará. It is located nearly in the center of the Nordeste region, which has about 53.6 million people (28% of Brazil's population). It is also in the heart of Brazil's salt production area. 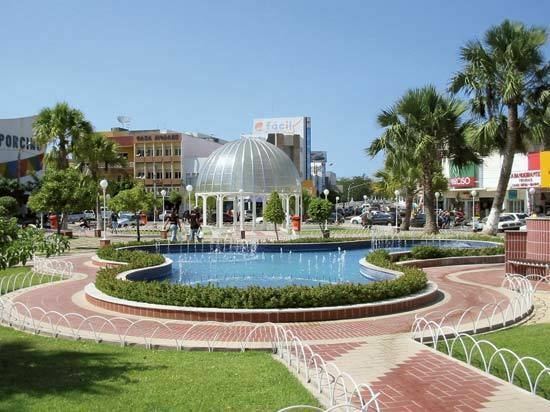 Situated in the Agreste-Potiguar mesoregion, Mossoró is the country's largest land-based petroleum producer. For Brazilians, the main historical distinctions of the city are the driving out of the "Lampião", a gang that plundered entire towns in the sertão during the 1920s and 1930s, and the freeing of slaves five years before the Lei Áurea abolished slavery in all of Brazil (1888). It was also the first city to give women the right to vote in Brazil (Professor Celina Guimarães Viana cast the first vote in 1928), sparking a movement among other cities and states in Brazil that culminated in the official recognition of women's suffrage by the national government in 1934. Although it does not have beaches within its city limits, there are several magnificent beaches in the surrounding area of the Costa Branca Pole such as the desert beaches of the city of Areia Branca. World-famous Canoa Quebrada beach is a short drive away in the neighboring state of Ceará. The Resistance Museum tells the story of the city and the city's native sons. However, the most famous attraction is the Mossoró Cidade Junina (Mossoró Junina City Festival), a winter festival (festa junina) that attracts more than a million people during the month of June. The city has a beautiful historic town, a hub of fascinating stories of the region's development. Main attractions include the Museu Municipal Jornalista Lauro da Escóssia (Journalist Lauro da Escóssia Municipal Museum), also known as the Cangaço Museum, the Station Arts old railway station museum, the Oil Museum, St. Vincent Church, and the Cathedral of Santa Luzia. Other attractions include the famous Palace of Resistance, former residence of mayor Rodolfo Fernandes who was the leader of the resistance against the "Lamp band" (Lampião) and served as a rampart against attacks from those notorious bandits. There is also the Bode Market, an ovine and caprine trading center where traders and buyers of sheep and goats continue the long-held rural traditions of the northeast, as well as the famous Central Market and the Railway Bridge. In September, the city stages what could be the largest play in the world, the Auto Da Liberdade (The Procession of Liberty) with an all-paid cast of 2,000 and a 600-member chorus as part of its Festa da Liberdade (Brazilian independence celebrations). 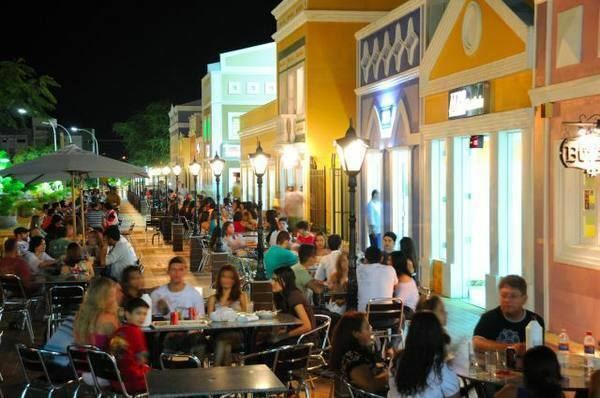 Mossoró also has a shopping center, Mossoró West Shopping, which includes a 5-screen multiplex cinema, Wi-Fi internet connectivity, children's recreation and diaper changing area, ATMs, bowling alley, pharmacy, and food court among its many amenities. Mossoró is also home to the Hotel Thermas Resort which is the largest thermal water park in Brazil. The heated water used in the resort arises from a zone of geothermal hot springs located in the vicinity of the city. The city is the seat of the Roman Catholic Diocese of Mossoró. The Federal University of the Semi-Arid is located in Mossoró. Aeroporto Internacional da Grande Natal or Greater Natal International Airport was scheduled to open in 2014 in time for the 2014 FIFA World Cup. Mossoró is one of the hottest cities in all of Brazil. It is not uncommon for temperatures to exceed 35 °C (95 °F) throughout the year, with temperatures approaching 45 °C (113 °F) unexceptional. A fairly short wet season spans from January to May, while the scorching dry season spans the remainder of the year. The sultriest temperatures are registered from October to January. It has semi-arid climate with a temperature range of mean lows around 22.7 °C (72.9 °F) in winter and mean highs around 33.4 °C (92.1 °F) in summer.